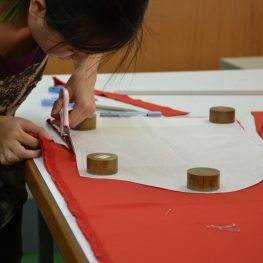 The series provides a highly specialist courses devoted to fashion related technical skills. They include lots of practical sessions through which you will learn hands-on skills in pattern making, measurement taking, draping, fitting, sewing or computerised knitting in our professional workshops. The courses are for students who are studying fashion programmes in tertiary institutions and lack practical skills or for those who would like to have an intensive training in fashion technical skills in full time mode. Intensive skills enhancement training and professional guidance will be provided to the students. Lectures are supplemented with practical sessions. Students who have completed relevant summer course(s) may apply for exemption of other CITA programmes.